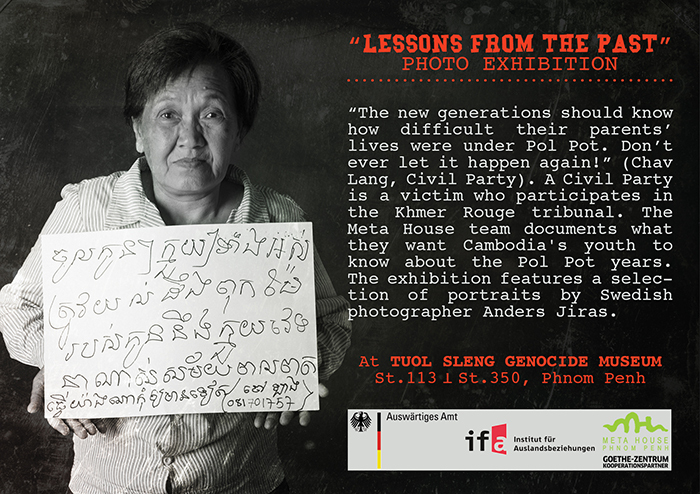 "The new generations should know how difficult their parents' lives were under Pol Pot. Don't ever let it happen again!" (Chav Lang, Civil Party). A Civil Party is a victim who participated in the Khmer Rouge tribunal. The Meta House team documents what they want Cambodia's youth to know about the Pol Pot years. The exhibition features a selection of portraits by Swedish photographer Anders Jiras.